Now that June is upon us, it’s officially wedding season! This year, I’ve already attended one, and have two more this summer. 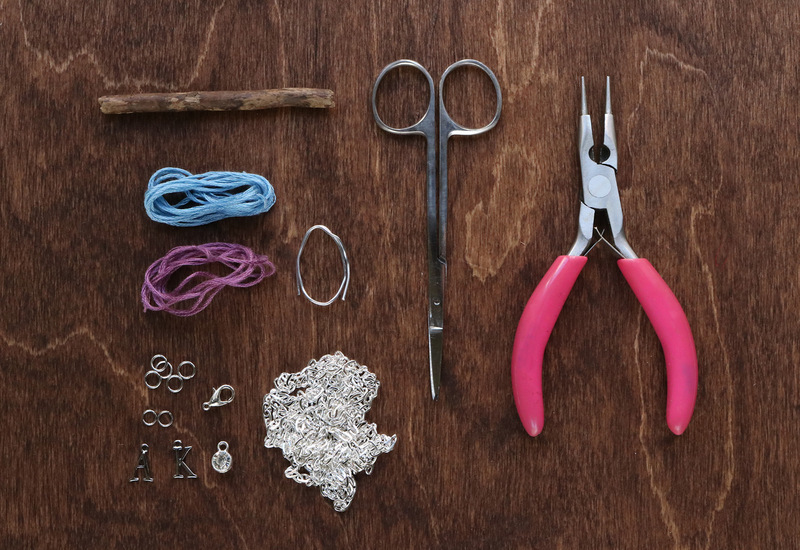 So, what better time to start rolling out the DIY wedding projects? 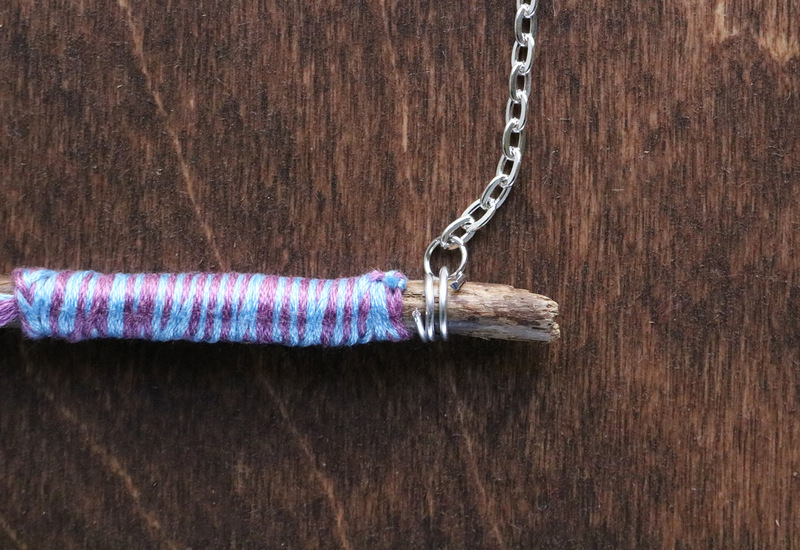 If you’ve been following me for a while, you know that I adore these types of crafts. It’s basically an obsession. 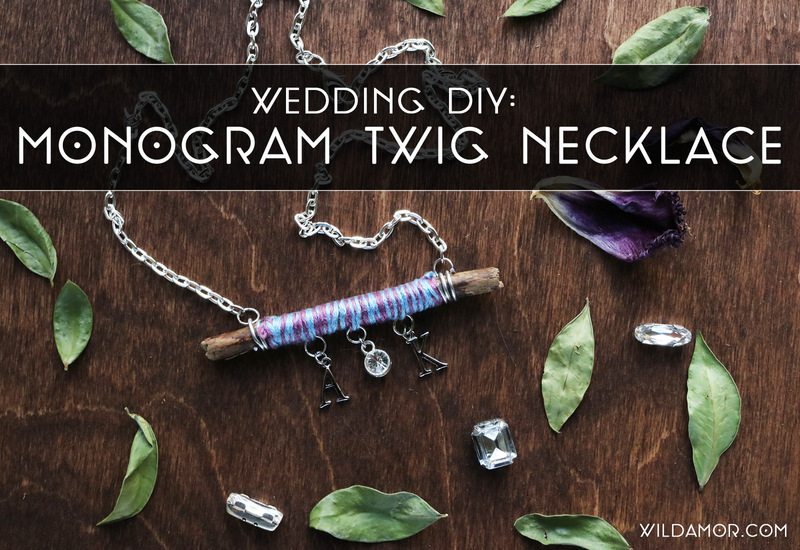 For today’s tutorial, I made a charming monogram twig necklace that can be worn on the big day. However, it can be easily made into a bridesmaid gift. Win. 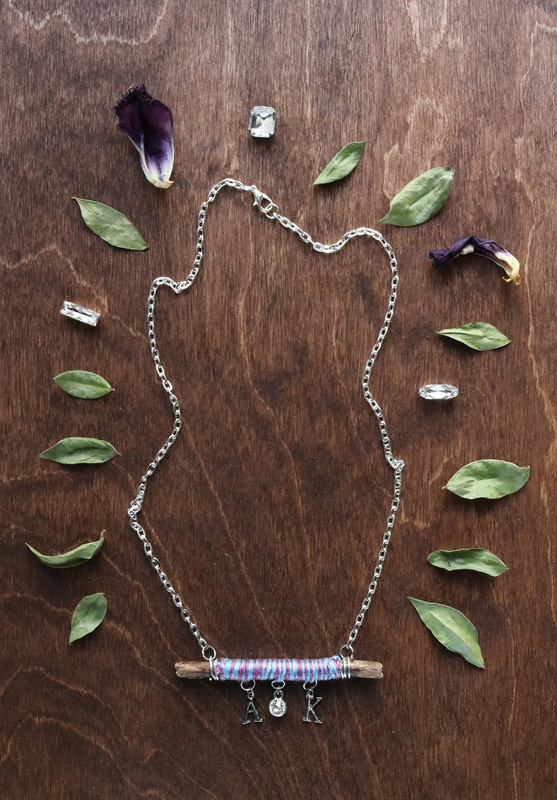 Since it uses a twig straight from the great outdoors, this necklace is perfect for rustic weddings. The use of embroidery thread also has endless color possibilities. Here’s how to make it yourself. 1. Cut two long strands of embroidery thread. They can be the same color, or two different colors. 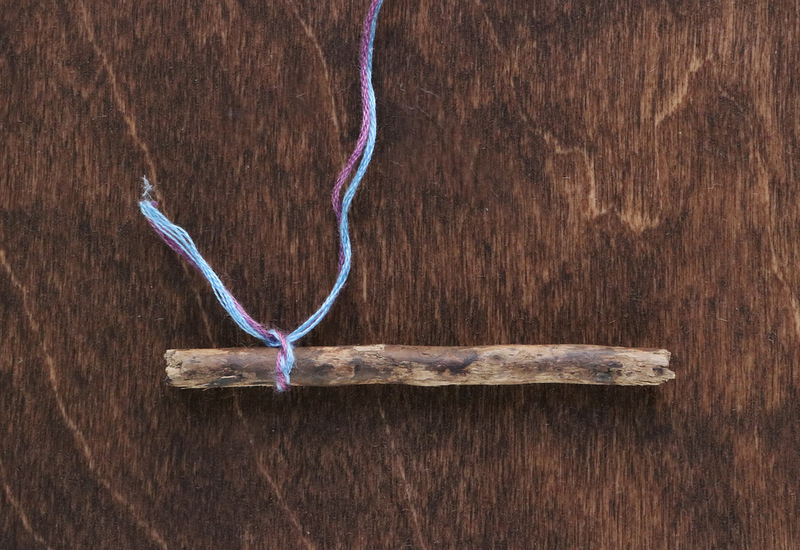 Place the strands together and tie around the twig. 2. 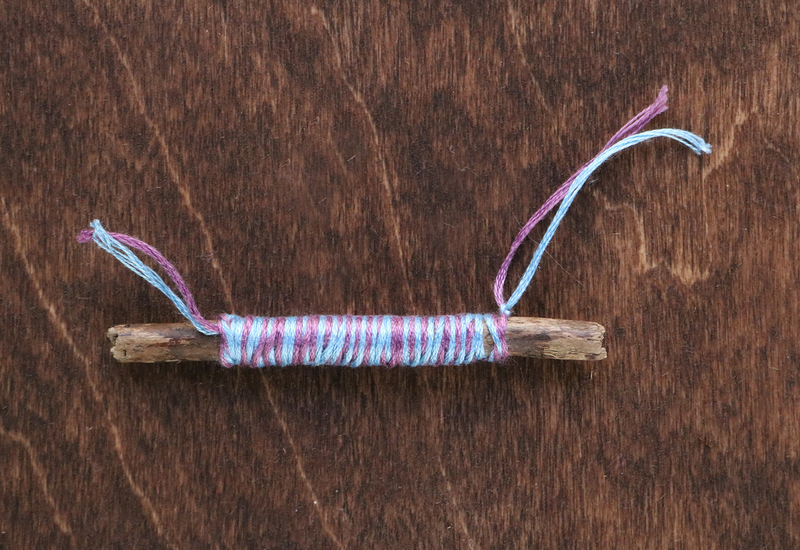 Wrap the thread tightly around the twig. Tie another tight knot. 3. 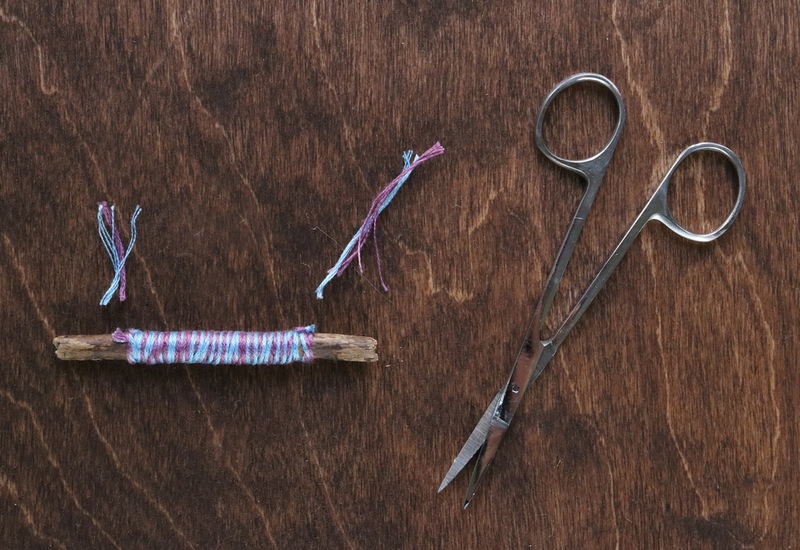 Cut away the excess thread. 4. 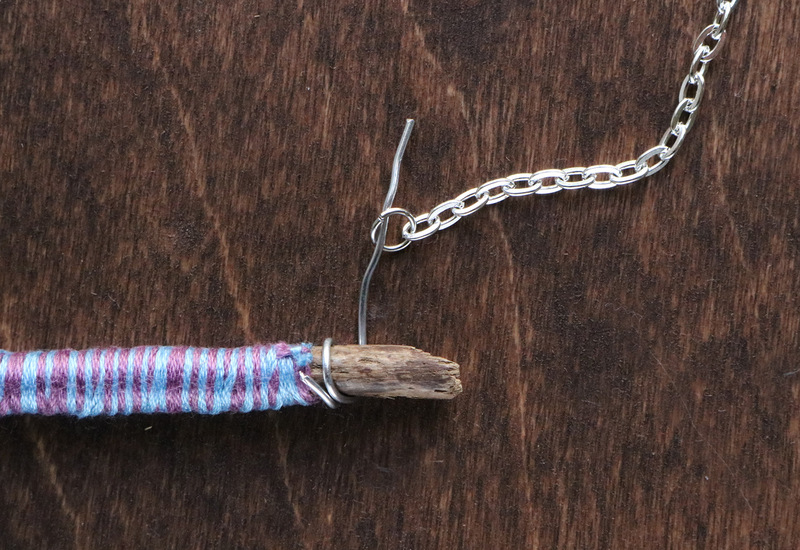 Cut a strand of wire, about 4 inches long. 5. 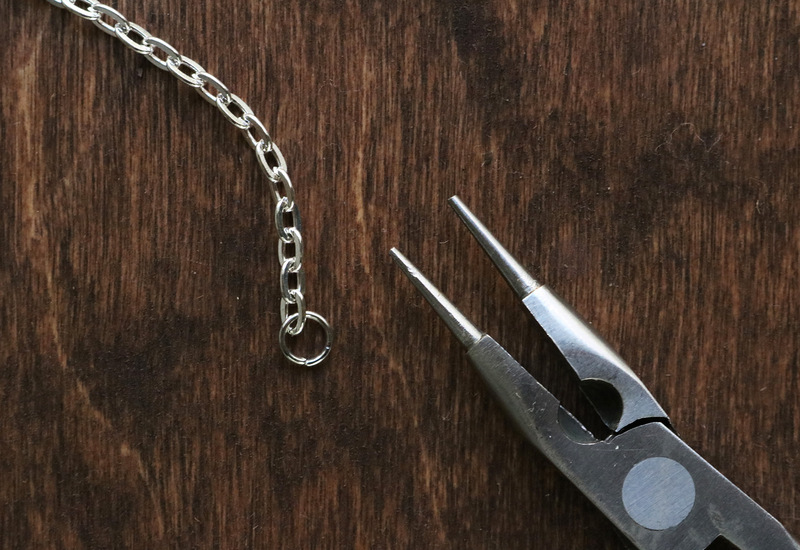 Attach a 7mm jump ring to one end of the chain. 6. Wrap the wire tightly around the twig. About half way, add the jump ring with the chain. 7. Wrap the rest of the wire around the twig. 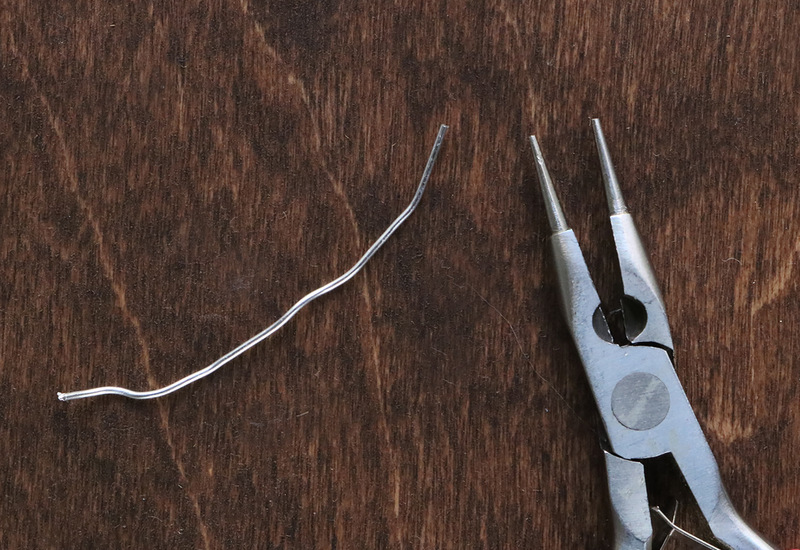 Using the pliers, press down the end of the wire to secure it. 8. Repeat Steps 4 and 7 on the other side. 9. With the jump rings, carefully attach the letter and rhinestone charms to the thread. 10. 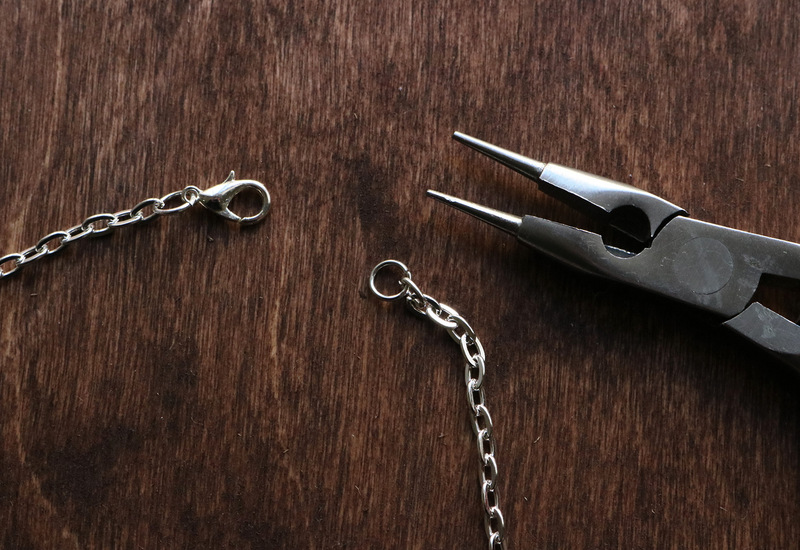 Attach the jump ring and jewelry clasp to one end, and a jump ring to the other. 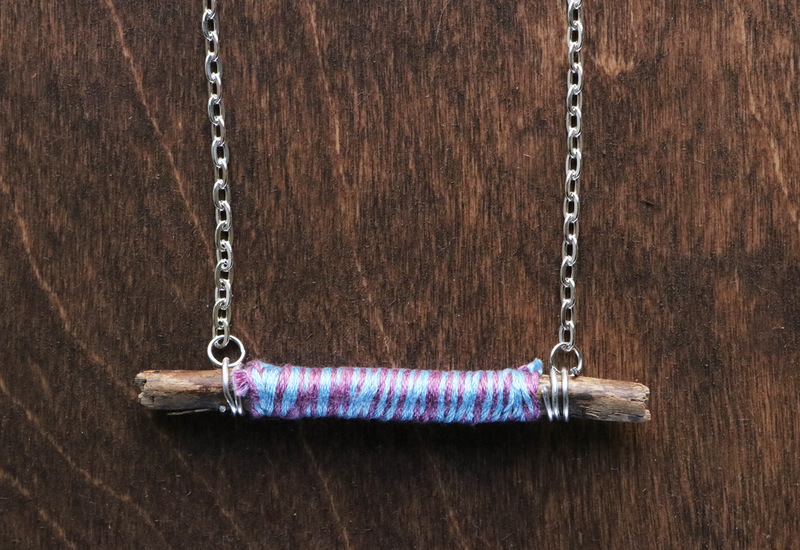 Remember, this necklace is super easy to customize. 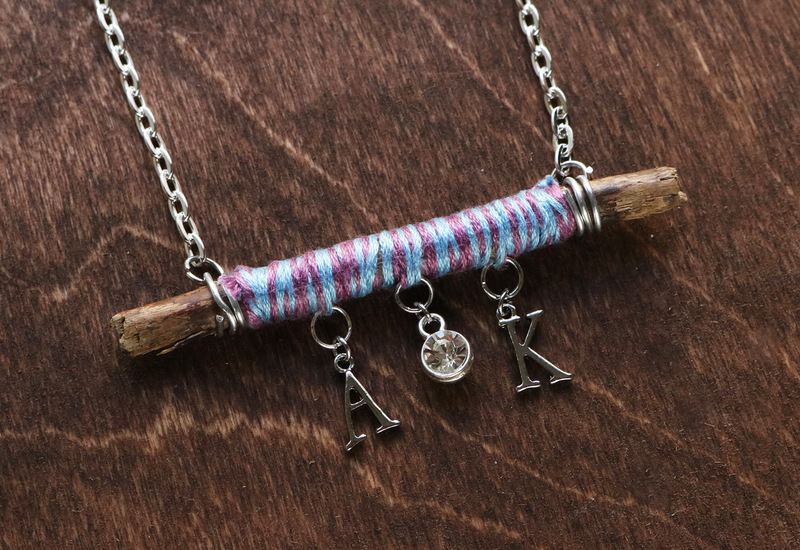 The thread can be any color, so you can coordinate with your wedding theme. The rhinestone charm doesn’t even need to be a rhinestone. It can be a plain metal charm or even a bead.